Identify and recognize the characteristics of different commonly available metal wall panels and systems. Investigate the design potential and innovative opportunities to create buildings with attractive and durable exterior wall systems, canopies, and soffits. Specify metal exterior walls in a variety of green and conventional buildings and formulate appropriate selections related to specific applications. The weathering skin of a building is also the visual skin that gives a building its character and aesthetic appearance. There are of course many choices of skin materials that architects can choose from with varying degrees of suitability for different building projects. In many cases, where economy, longevity, and lightweight materials are part of the preferred criteria, metal wall panels are the favored selection. In addition to meeting these basic design criteria, they have been proven over time in many different settings to be a reliable and sustainable design option. Metal wall panels are manufactured by a variety of companies in the U.S. The industry trade group, known as the Metal Construction Association (MCA), views itself as a progressive organization that is supported by nearly 100 member companies, including metal panel manufacturers, coil coaters, distributors, fabricators, accessory and insulation producers, and contractors. 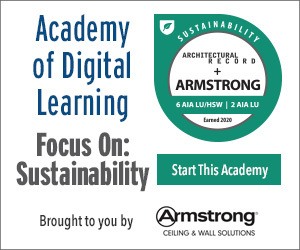 Together, they advance industry-wide standards in metal panel fabrication and construction techniques as well as promote sustainable products and practices by its members. The MCA has pointed out that recent improvements in the metal panel manufacturing process have resulted in a wider selection of metal panel products. This includes more choices in panel profiles and sizes allowing more choice and flexibility when considering metal panels in the design of a building. At the same time, new developments in coating technology allow longer life spans for the finished coating as well as the metal panels. As a result, the emergence of new product choices has allowed preformed metal wall panels to become a familiar part of mainstream commercial building design, and even some progressive residential buildings. All of this has contributed to a market trend where metal wall panels are currently used in greater quantities than metal roofing panels. Metal wall panels are an increasingly popular choice for exterior wall skins due to their versatility and range of profiles, colors, and design possibilities. Preformed metal wall panels are available in either insulated or uninsulated versions. Insulated metal panel systems are generally comprised of an exterior weathering panel and an interior liner panel that is filled between with rigid insulation. Since it is more common to use uninsulated metal panels over an insulated wall assembly, this article will focus on preformed metal panels that are used in this way. Preformed metal wall panels are manufactured from a variety of metals, including steel, aluminum, copper, and zinc. Copper and zinc panels are generally unfinished allowing them to develop a natural patina which is both a protective layer and an aesthetic contributor. Steel panels typically come with a highly durable paint or coating that is applied to the metal panels to protect them from the elements. Aluminum panels can be anodized or covered with a similarly durable paint coating such as Kynar or similar. The choice of colors ranges from standard hues to custom-matched tones to match a variety of design intents. Either way, when finishes are used, they are applied during the manufacturing process in a controlled environment to assure uniformity and control the quality and thickness of the finish. Part of the popularity of preformed metal wall panels is attributable to their economic benefits. They have been compared to other wall / skin systems and are typically lower in installed cost than that of tilt-up wall systems, precast concrete or brick while coming out comparable to synthetic stucco or EIFS. Since they are a comparatively lightweight material, they have less impact on dead load allowing for reduced structural system sizing and cost than heavier wall materials. A more common reason given for their cost effectiveness is that metal wall panels can often be installed faster than other wall materials, resulting in corresponding labor and schedule savings. Since their installation is not slowed by weather conditions, they can minimize construction delays, allow for fast-track scheduling, and get the building enclosed or weather-tight quicker thus allowing other trades to proceed with interior work. 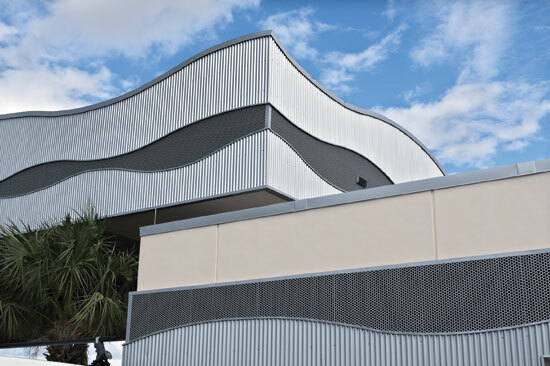 Further, the myriad of metal panel design options available on the market offers the opportunity to add distinctive architectural effects to a building without necessarily altering the cost significantly. Beyond first costs, the long-term cost of ownership is also very favorable. Their typical service life is 20 to 30 years, and can be even longer depending on the geographic location of the building and the surrounding environmental conditions. This longevity is attributable not only to the inherent durability of metal, but also to the highly durable metal coatings routinely used to protect them. These factory-applied coatings directly contribute to the low maintenance requirements of a metal wall system by preventing any corrosion that would otherwise require panel replacements. Further, since many of the coatings are exceptionally smooth, dirt doesn't stick while rainwater flushes them clean, meaning they require little or no maintenance. Preformed metal wall panels are currently available in a wide choice of sizes, textures, colors, and profiles. It is usually the profile that makes the biggest difference on a building in terms of its textural appearance. Some of the more popular profiles include three that are discussed further here, specifically corrugated panels, flush and reveal panels, and composite panels, all of which can be used to create distinctive reveals, shadow lines and other architectural effects.